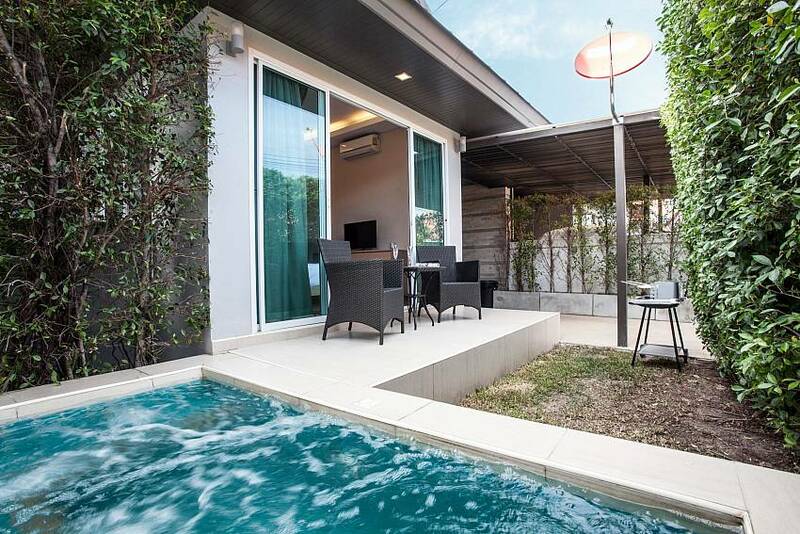 Situated just a 5-minute drive from Jomtien Beach, the quaint 2-bedroom villa is located in a residential estate geared to holiday villa rentals. 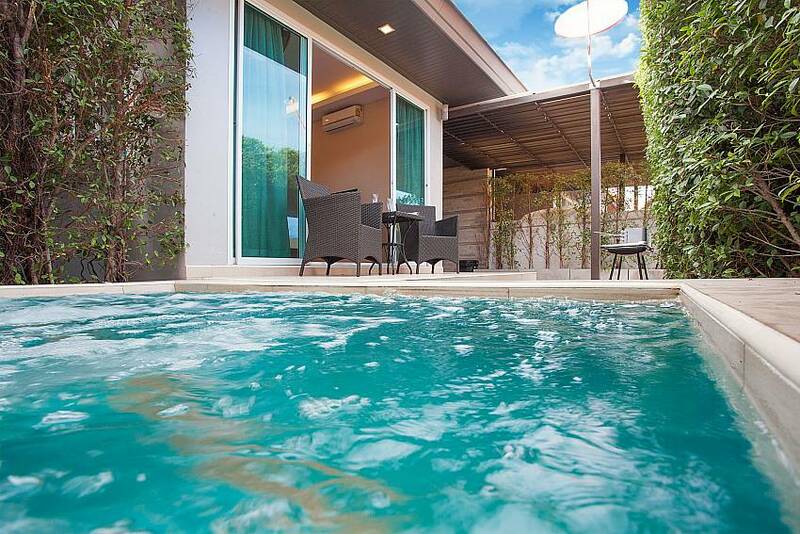 With a cosy Jacuzzi pool and an affordable price, this Jomtien villa is a great choice for couples and families. 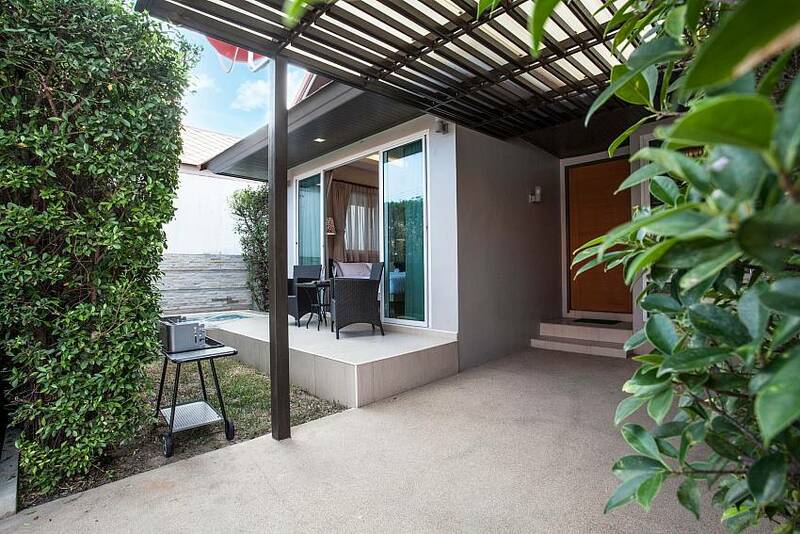 Set in a gated development just a 5-minute drive away from Jomtien Beach, bars, international restaurants and shopping centres, this villa is perfect for a couple or 2-4 friends travelling together. 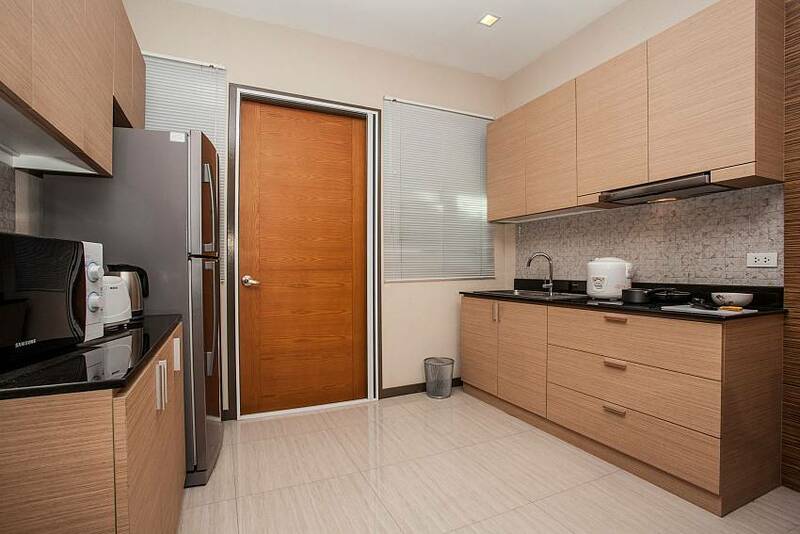 Modern, conveniently located and affordable, the rental comes with many great features. 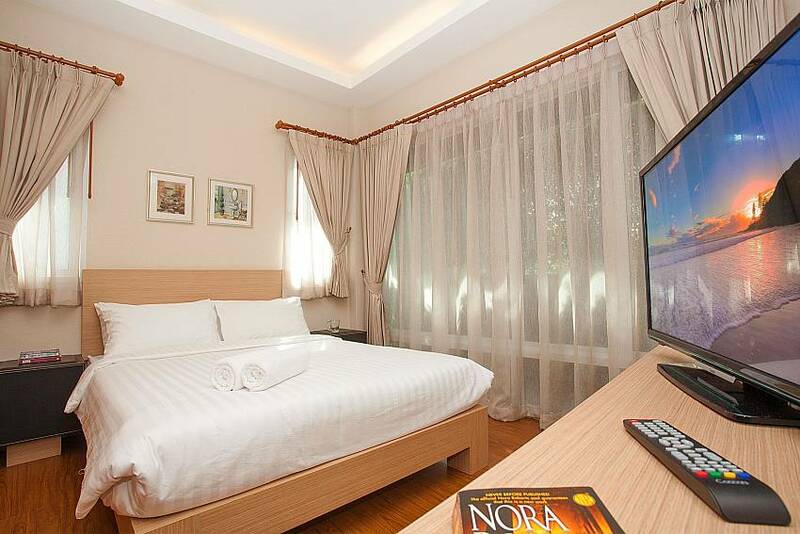 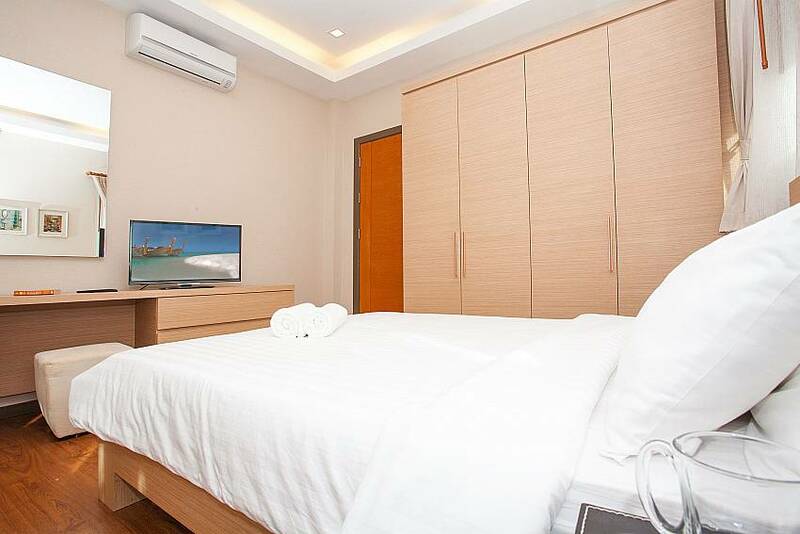 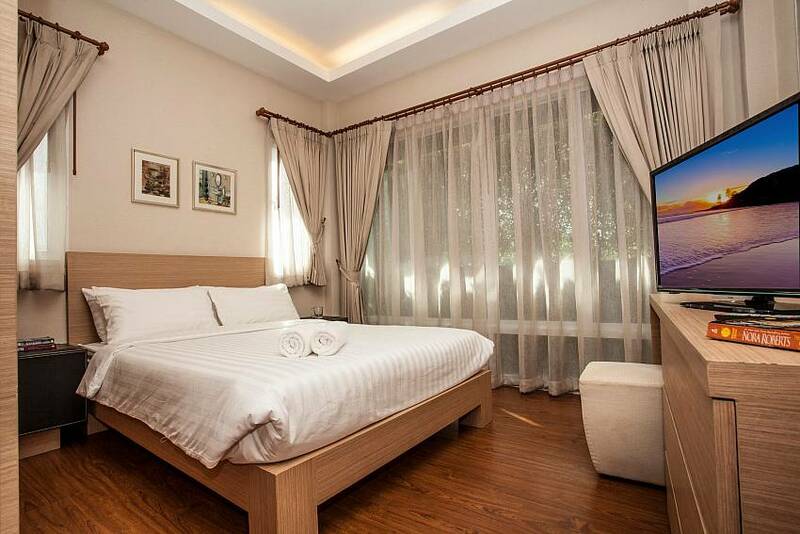 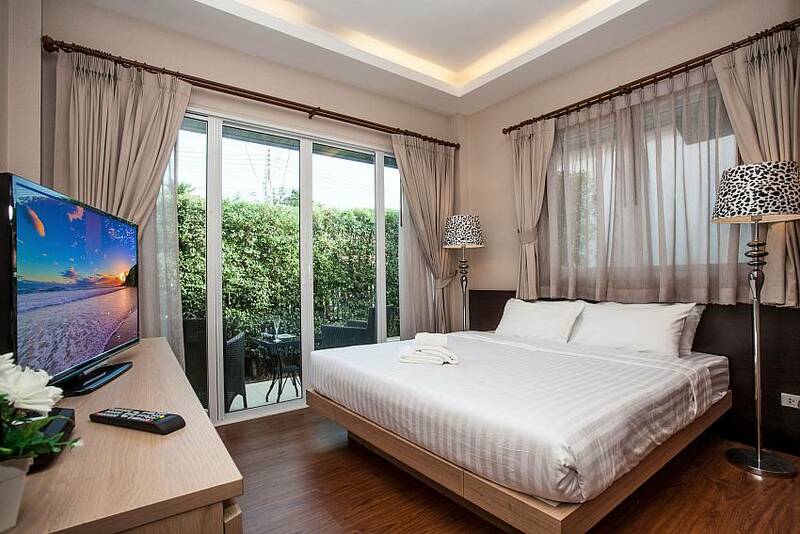 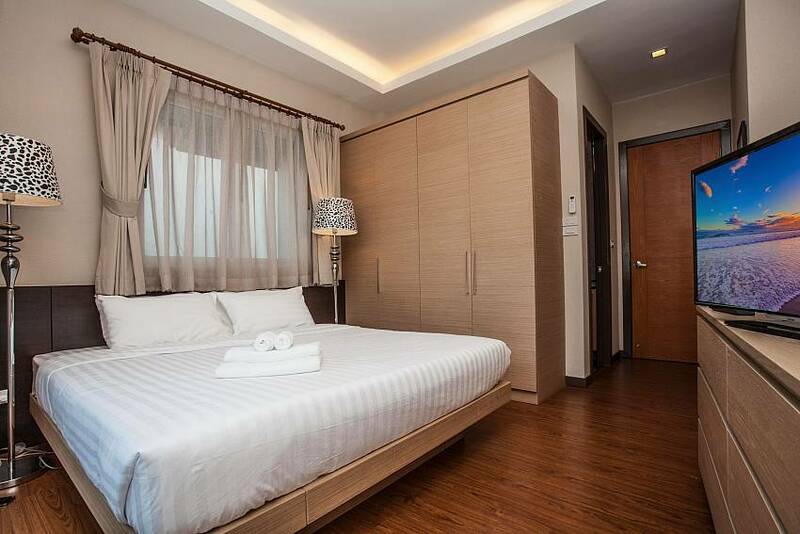 Jomtien L'Amore Villa has an up-to-date design and is cosy and compact. 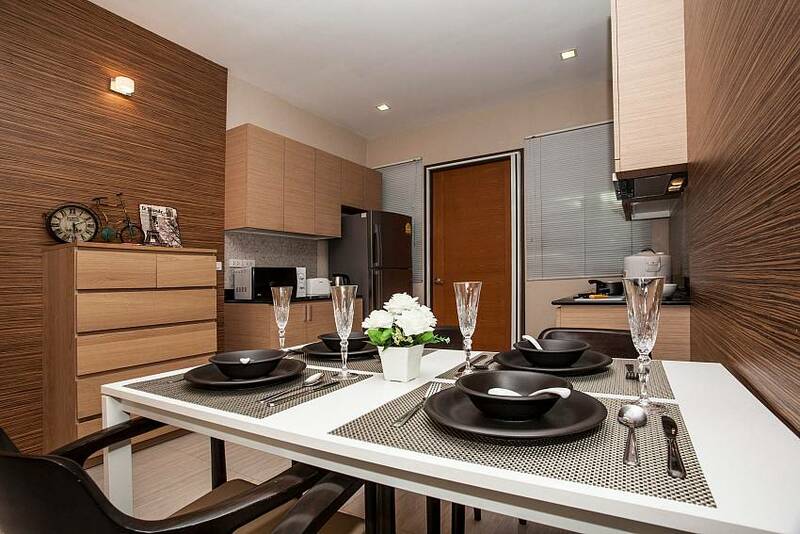 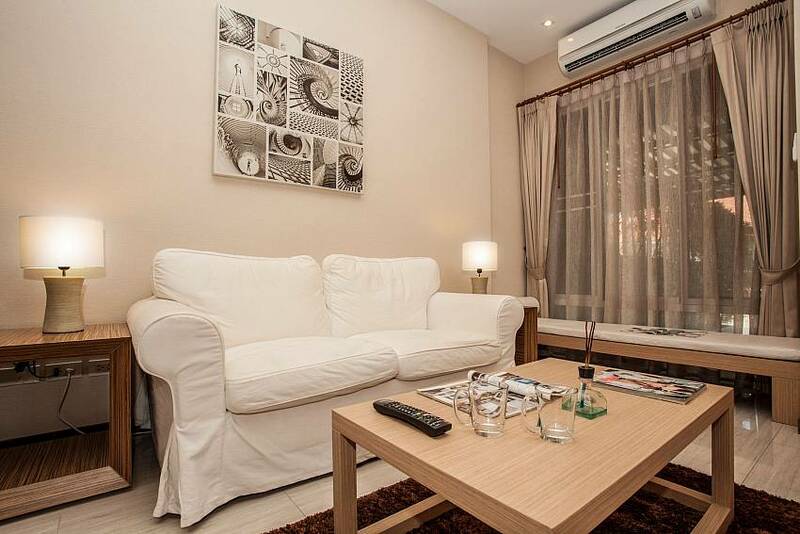 There are 2 bedrooms, 2 bathrooms, a lounge with kitchen and dining area. 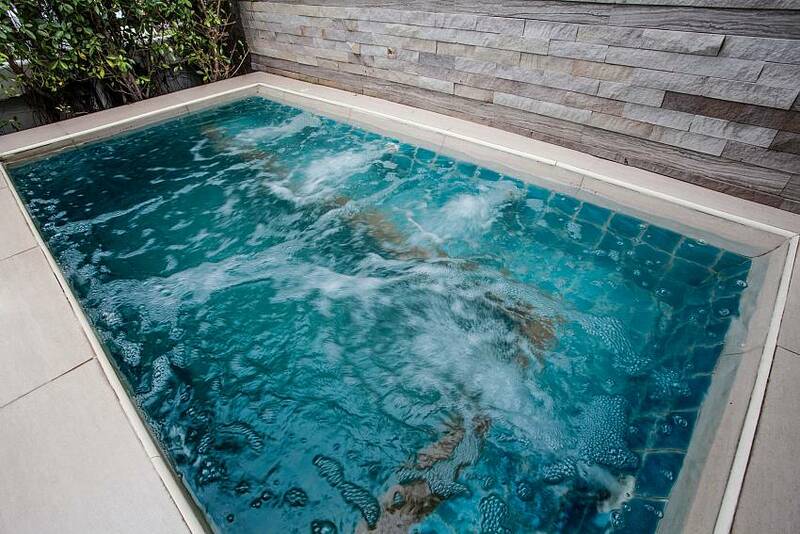 At the front of the villa, next to the carport and a small terrace, you will find a quaint Jacuzzi. 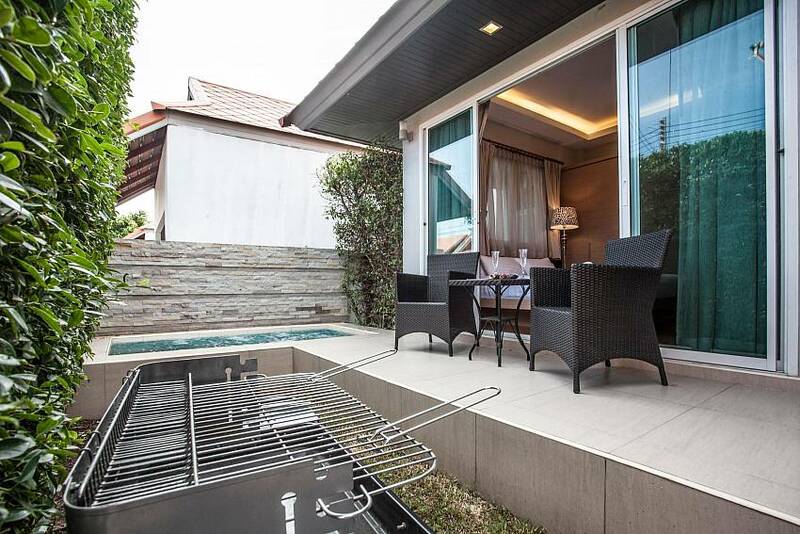 There is also a small table with a couple of large wicker chairs, plus a BBQ. 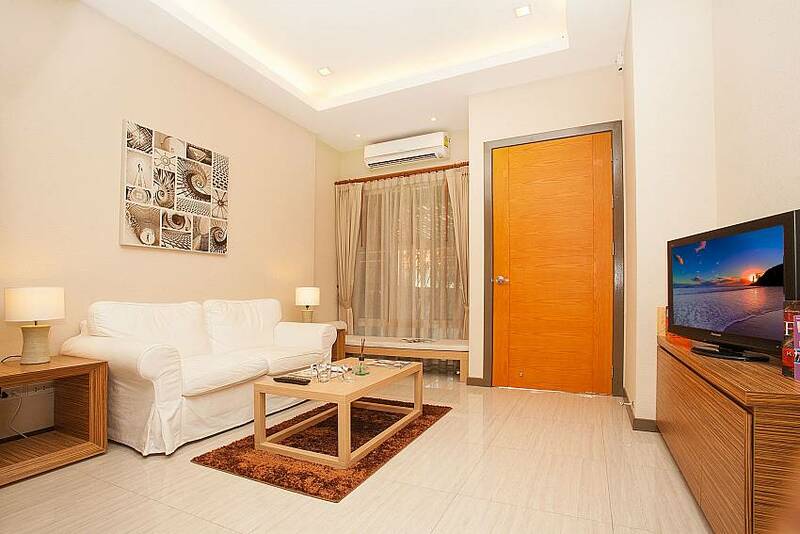 It is the perfect spot for hanging out and relaxing with cocktail in hand. 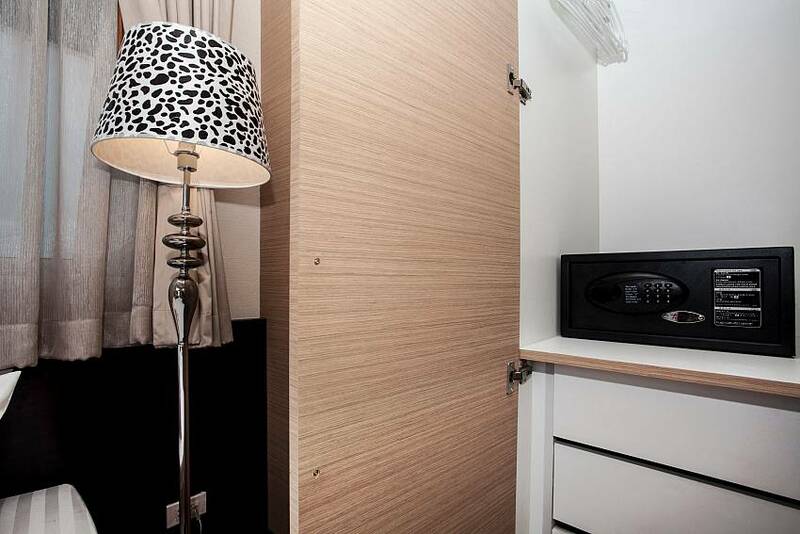 The snug open plan lounge has a small sofa, flat-screen TV with international cable channels, and a DVD player. 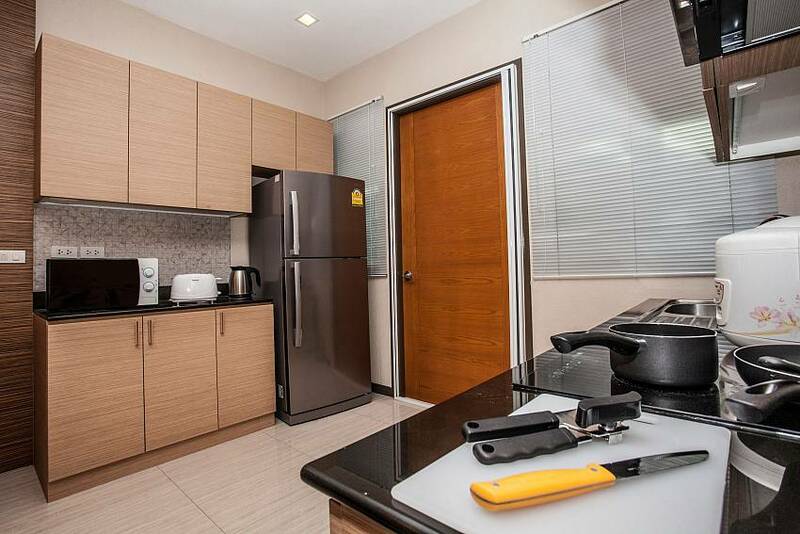 Next to it is the sleek kitchen, equipped with a great choice of appliances such as a rice cooker, kettle, microwave, toaster, a 2-ring hob, and a washing machine in the back garden. 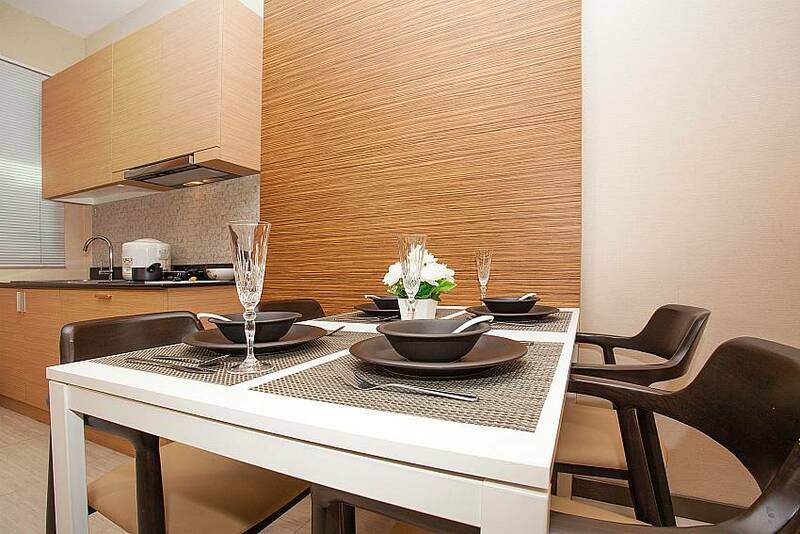 The dining area is located next to the kitchen and has a 4-seat dining table, although you could also dine on the terrace. 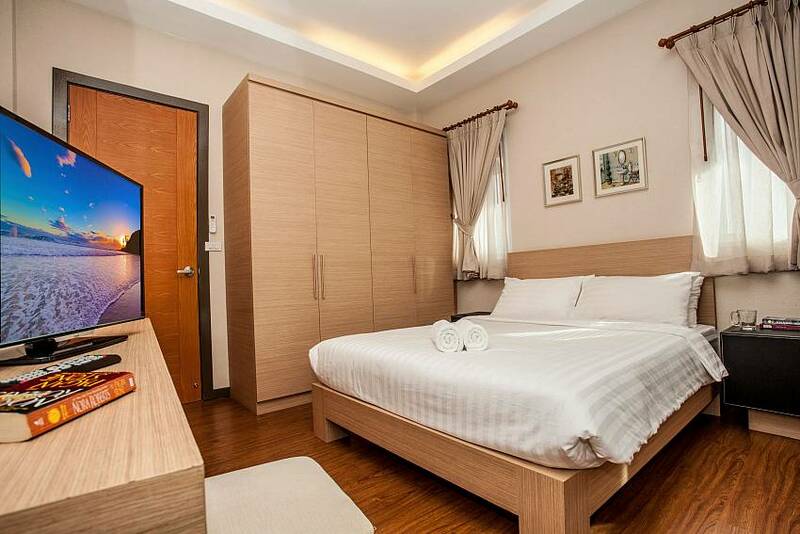 The two bedrooms both have double beds, wooden wardrobes and cabinets, air-conditioning and 32-inch flat screen televisions, sleeping 4 people in total. 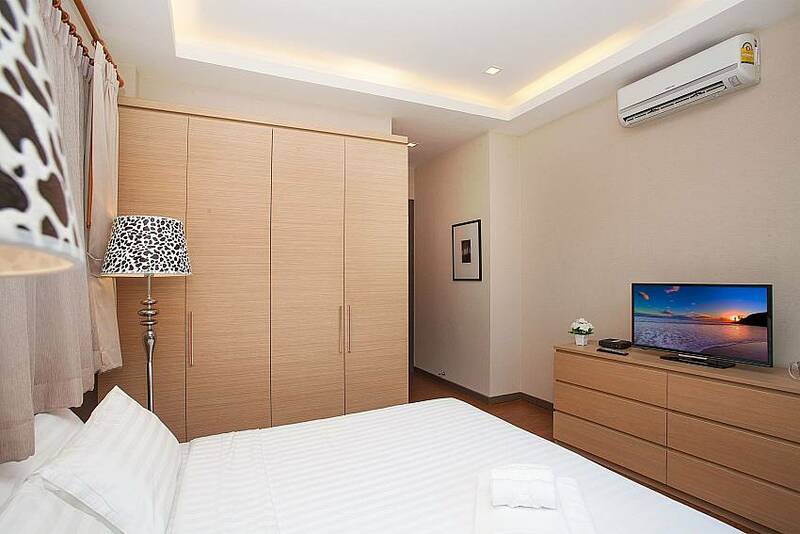 The master bedroom also has a safe-deposit box and an en suite bathroom. 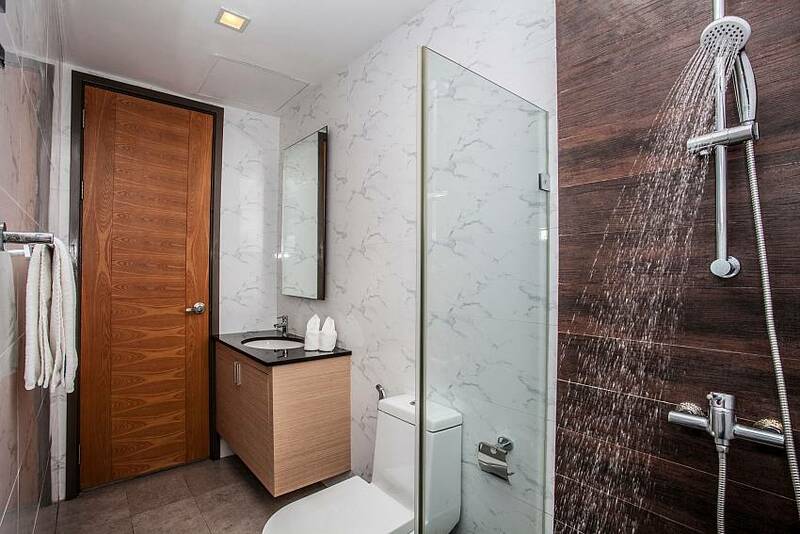 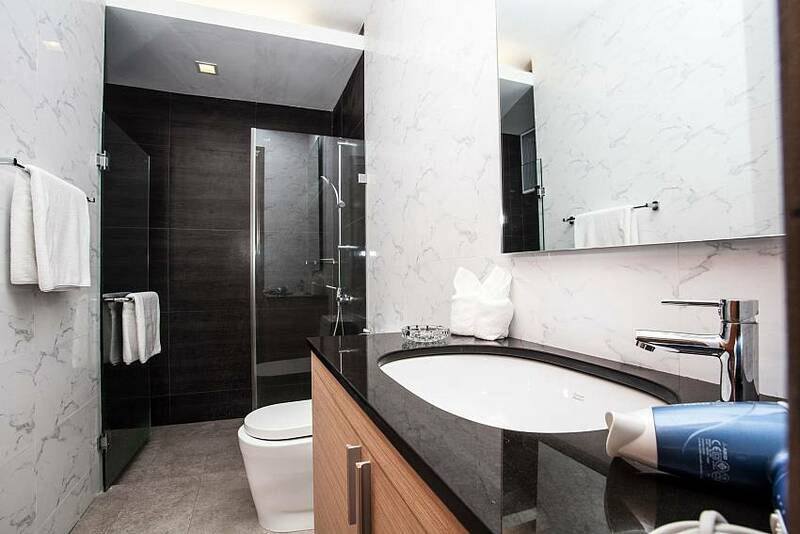 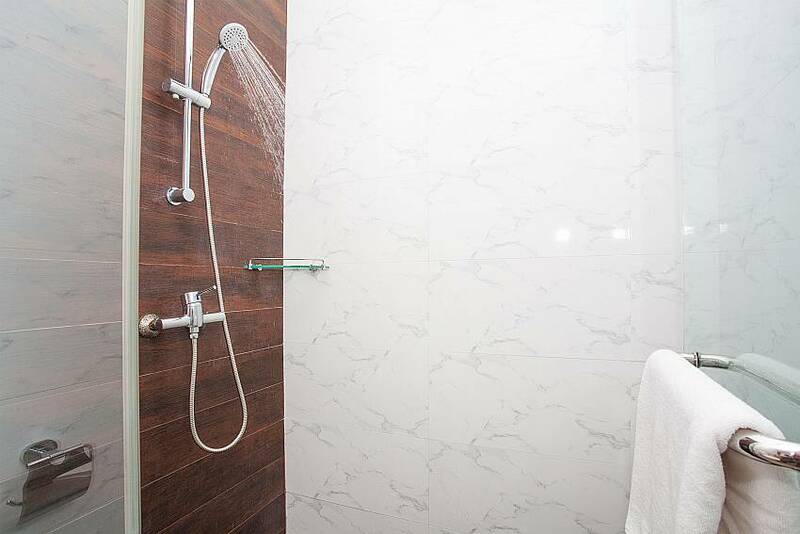 The second, guest bathroom is in the lounge; both bathrooms have showers, toilets and wash basins, and they are very modern looking. 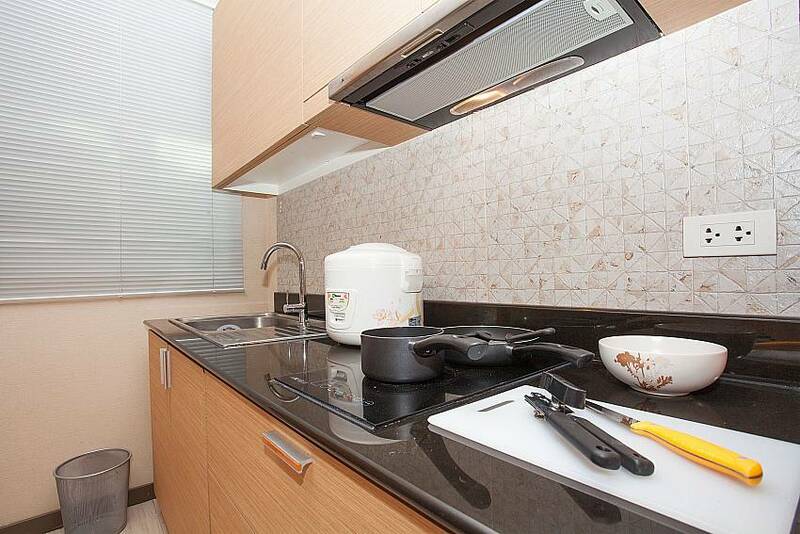 Free Wi-Fi and daily maid service are included in the rental’s rate. 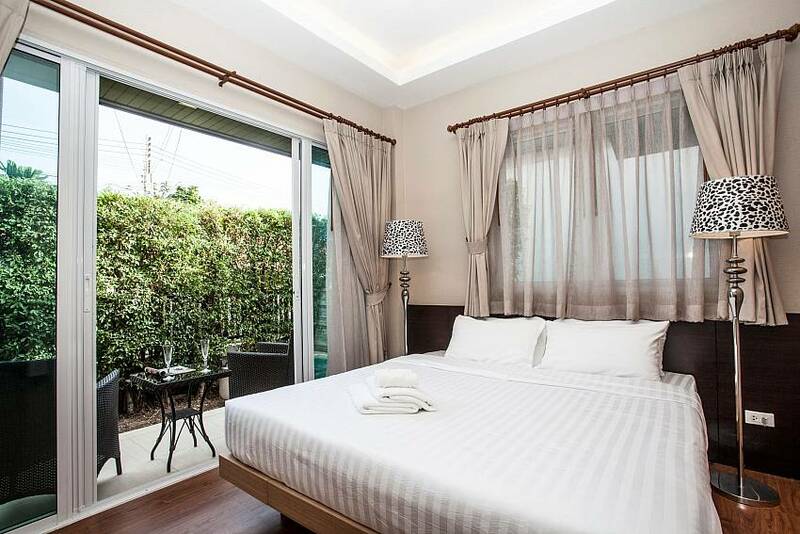 The villa is located in a gated residential estate with lots of onsite staff, just a 5-minute drive from Jomtien Beach. 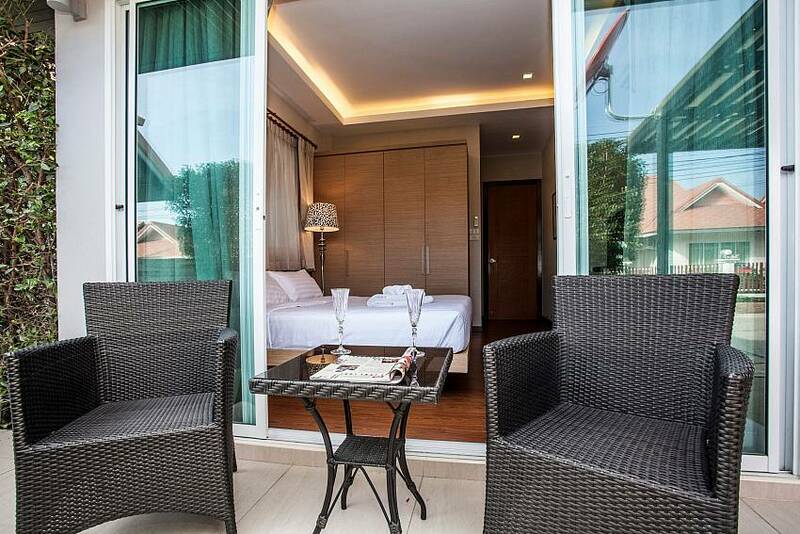 On the way to the beach you will find lots of international restaurants and bars. 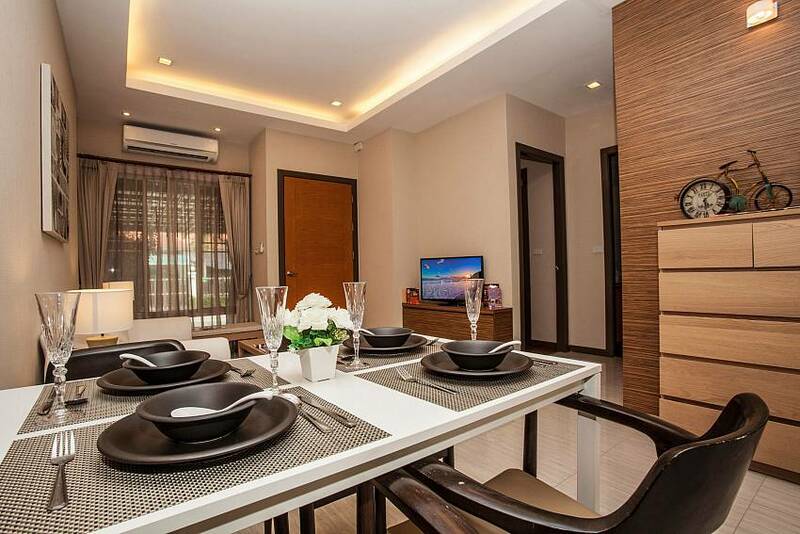 Shopping centres and popular nearby attractions such as Pattaya Floating Market, Underwater World and Mimosa, are all just a 5-minute drive away. 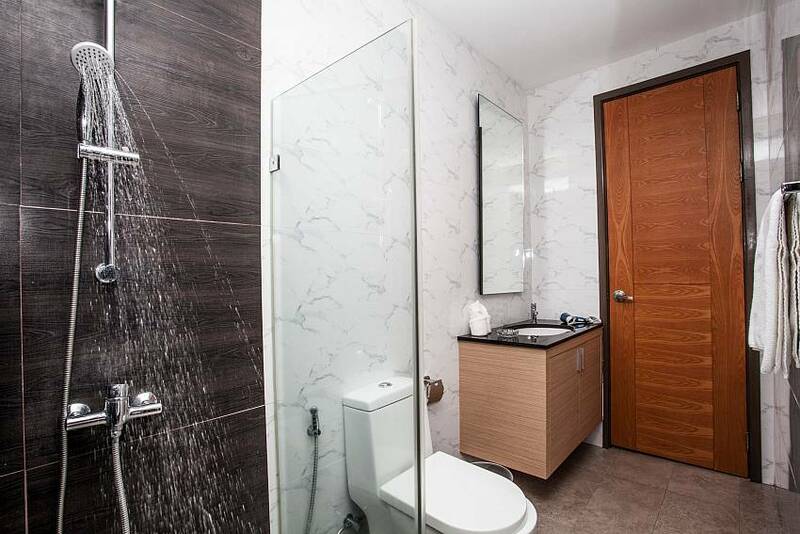 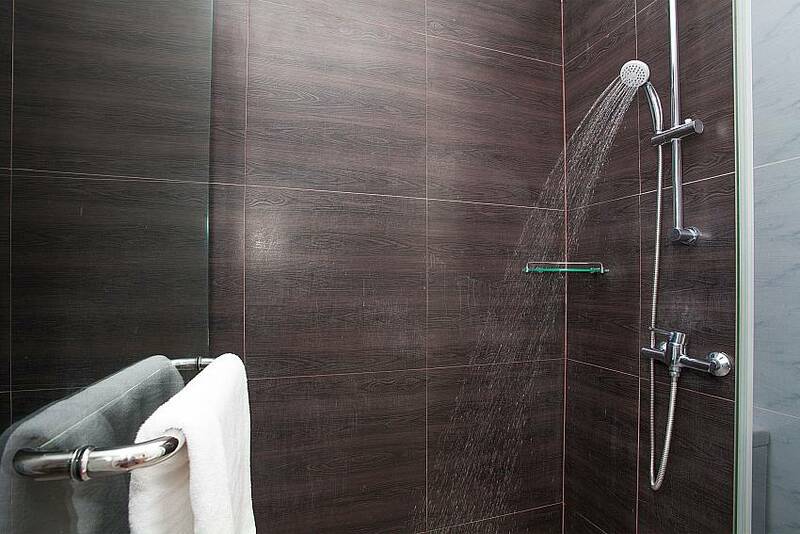 This location greatly merges privacy with convenience. 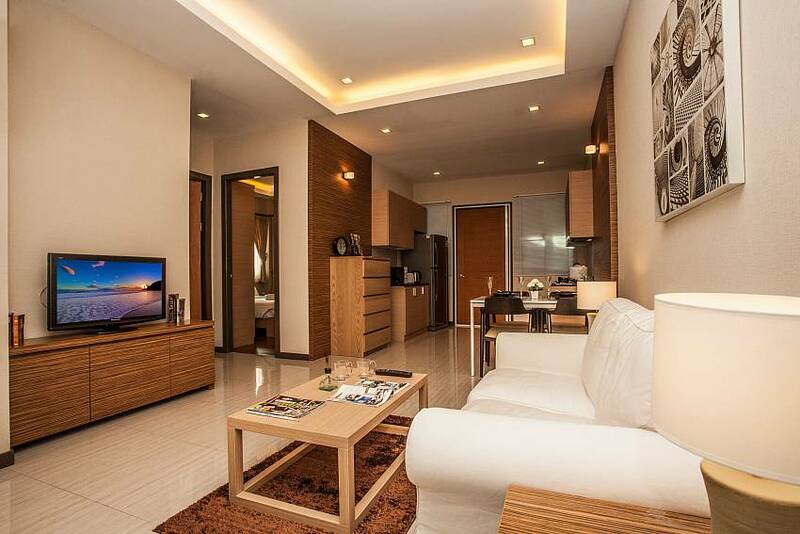 To view all holiday homes nearby, browse our Pattaya villa rentals here.